This is the second part of my list of the 30 best iPad apps for university students, postdocs, lecturers and professors. The idea of this list is to really focus on core workflows in academia, and to see what iPad apps can improve our productivity in these workflows. You heard right: This list is about boosting your productivty. The first part covered 12 great apps for Writing and Reading on the iPad, so be sure to check it out if you haven’t done yet. The current article covers 10 apps that are true gems for Thinking through (a.k.a. conceptualizing) and Presenting your ideas. The third part concludes this list by focusing on apps that help you to Organize and Enjoy university life. Structured conceptual maps: MindNode ($10, iTunes Link) has been one of my favorite apps for conceptualizing research and projects for a long time. Mindnode is such an important part in my “Thinking workflow” that it lives in my iPad’s dock. There are a couple of things that make Mindnode a great choice for people in university. Its minimalistic style – Mindnode is basically a huge canvas – lets you focus on your ideas. Yet, it is powerful enough to manage even large research projects. One feature that is, I believe, unique among mindmapping apps is that you can have more than one main node on each canvas. This is great, because it lets you structure your ideas much better than with only one central node. 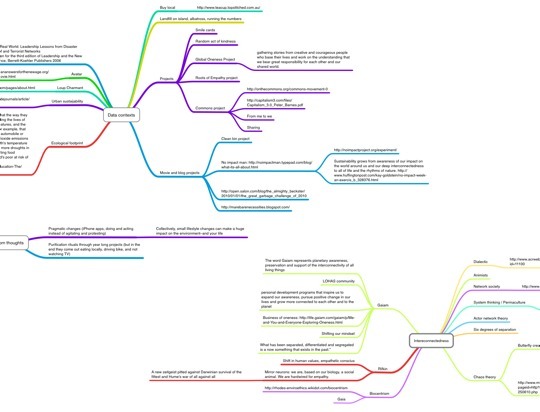 MindNode is my preferred mindmapping app for university work because of its clean design, support for more than one main node, and its iCloud integration with MindNode Pro on the Mac. Last, Mindnode lets you access your mindnode from every Apple device you can think of. It also works on your iPhone, and there is also a Mindnode Pro version for your Mac ($10, App Store Link). Both apps sync via iCloud. More flexible conceptual maps: Mindmaps are great to organize your thoughts, but they are not really good for developing a story line or sketching out the flow of an argument. For this, you need apps that give you more flexibility in arranging your thoughts. Popplet ($5, iTunes link) lets you create and draw connections between little bubbles of text, photos and drawings. By zooming in and out of the canvas you can quickly change between a bird’s-eye view on your project and the nitty-gritty details of the narrative. 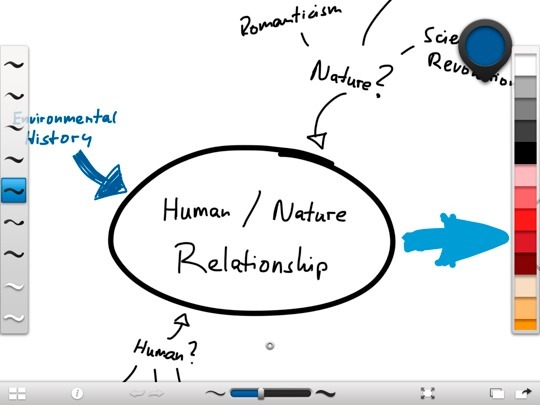 I have always liked Popplet a lot, and it was the subject of my very first post on academiPad. However, I am a little disappointed that, even after more than 2 years, Popplet still lacks some basic things such as the standard iOS spell checker. The developer has made some improvements though (e.g., you can select more than one bubble by tapping with two fingers) and there is an online collaboration feature now on the web, so its definitely a great app for people in university. Bonus Tip: Start with the free version of Popplet and see if you want to get the full version with unlimited canvases. Free-hand sketching and drawing: Although Popplet gives you more flexibility in arranging your ideas, it might be still too rigid if you are a fan of sketching out ideas by hand. Sketchbook Ink ($5, iTunes link) is the best app if you want to draw huge, free-flowing conceptual maps with a stylus. 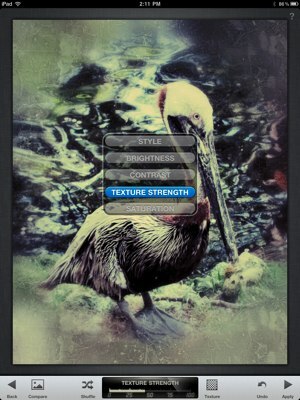 This app is targeted at artists and lacks keyboard text entry that would be nice for university related workflows. Nonetheless, when it comes to “thinking by drawing,” I think it is the best app out there (and I have tried many). The canvas size is huge, and because Ink uses a resolution independent drawing engine, your strokes and handwritten letters look smooth at every zoom level. This app comes as close to pen and paper as possible, but you need an iPad 2 or later to run it properly. This is just a tiny part of the canvas available to you in Sketchbook ink. Being targeted at artists, Sketchbook Ink lacks a couple of features that would be nice to have when conceptualizing ideas (e.g., keyboard input, fixed pen sizes), but its huge canvas and the resolution independent inking engine make it the best app to conceptualize ideas in free-drawing mode. Bonus tip: For conceptualizing your thoughts with free-hand sketching apps, a good stylus is a must. Check out this post on how to find a stylus that is optimized for handwriting and conceptualizing ideas. I am using an Adonit’s Jot for my handwriting and sketching sessions and I think its great. You can read more about this stylus in my in-depth review of the Jot here. The apps above adopt a canvas metaphor to give your ideas a lot of room to roam freely. Another way to conceptualize ideas is to utilize the (more familiar) notebook metaphor. Notebooks: Apps like Penultimate, Notability and Noteshelf are a frequent sight among university students. Penultimate ($1, iTunes link) is the most bare bone app that only has a few pen options. However, its super smooth inking engine makes this app still a great choice for quickly jotting down your ideas. The problem is that you are going to run out of space soon, because Penultimate does not let you zoom in and out of the page. Not really cool if you are working on large ideas that are typical for university projects. Notability ($1, iTunes link) is a more powerful app that adds more color and pen options, zooming, a fine handwriting mode and keyboard text entry to the mix. You can check out a much more detailed review of Notability here. In my opinion, Noteshelf’s ($6, iTunes link) inking engine is a little nicer than Notability’s, but otherwise both apps are quite similar. Noteshelf is rather expensive when compared to Notability, but if you are picky when it comes to the inking engine, try to pick up Noteshelf the next time is goes on a discount. As you see, all these different apps are specialized for slightly different things. I personally like the canvas metaphor a lot and I use notebook apps only for sketching out short writing projects. While you are thinking what apps fit your university workflows best, why don’t you tell the world about these cool apps? Thanks for the Retweet! Giving (and practicing) a presentation: Keynote ($10, iTunes link) is Apple’s popular take on presentation apps. To be quite honest, I find it easier to create visually appealing presentations on the Mac. Nonetheless, I am glad to have Keynote on my iPad, because it allows me to review (and maybe slightly edit) my presentations without having to carry my laptop around university or the conference centre. In other words: nice to have, but Keynote on the Mac would be enough for me. 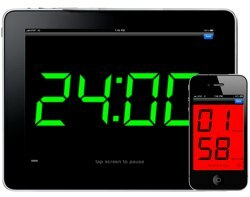 Charing a session: Presentation Clock ($1, iTunes link) is your secret weapon for giving a class presentation or chairing a conference session. How often do we see session chairs holding up “3 minutes” signs to the presenter, just to be ignored? Presentation Clock is more authoritative: It countdowns the time you have left for your presentation – by the second! The color of the digits changes at pre-defined intervals from green to yellow to red. When the time is up, the colors invert (black numbers on red background) and the clock starts counting up. This app is about as subtle as a construction side next to your office, and it works! I have seen how speakers who never end on time suddenly start to panic when the clock turns red. Making an impression: Adding photos is a great way of improving the visual appeal of your presentation, especially if these photos are part of your data or visualize your narrative. Snapseed ($5, iTunes link) is an intuitive photo enhancement app that will make even dull-looking snapshots look like they were taken by a pro photographer. What I like about this app is that you don’t have to know anything about color curves or other expert settings. With Snapseed, you simply define what area of the photo you would like to touch up, and then you can play around with the brightness, contrast and saturation levels of the surrounding area. Of course, this app is not only great for presentations, but for other aspects of your (university) life as well. Snapseed is a great app to polish your photos without any experience necessary. Except for making your presentation a stunner, this app also comes in handy to share photos from your last vacation or the beginning-of-term party. To further improve the personal touch of your presentation, you can use iFontMaker ($7, iTunes link) to create your own, unique typeset. Once created, your typeset can be exported into a TFF file and installed on any Mac or Windows computer. Again, this trick is not limited to presentations. You can also use your unique font for letters or your university / research blog. This has been the second part of a three-part series discussing my favorite iPad apps for university students and academics (see part 1 here). The final part of this series discusses the best iPad apps for organizing and enjoying university life. Please feel free to check out the other content on academiPad, and don’t forget to join academiPad’s twitter, RSS and email channels to stay up-to-date on how to improve your university workflows with iPad, Mac and the web. If you enjoyed this list, please share it with people you love and your colleagues and peers (these groups may overlap). By Retweeting the tweet below you can let your twitter friends know about the first part of this series. This way they can start right from the top. And of course, you can always use the other share buttons on the left and below. Thanks for sharing! 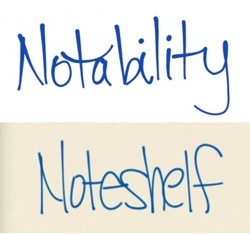 Disclaimer: Notability vs. Noteshelf handwriting sample from imore. Presentation Clock and Snapseed images by respective developers. All other images by academiPad. This article contains affiliate links. Please consider sharing this article if you found it useful. I love the office program and just bought the 4g iPad what app should I get that is like office? I’m not a math major but am going towards the sciences . Please help thanks. Hi ,Joachim . I am an engineer and a medical student and would like your advice on which device woul be best for me . I do a lot of note wrting in class , a lot of drawings both in anatomy and my engineering side and also lots of pdf. And ebooks reading that require annotations . I am considering making a choice among ipad 2 , blackberry playbook and samsung galaxy note 10.1 .What’s your suggestion ? I love your write-up. Hi Wole, Sorry for not replying earlier on your other comment. I have addressed the palm input question there. About choosing a device: Thats impossible to answer by me in an unbiased way. I am an iPad guy who has only limited experience with the playbook and no experience with the galaxy note. I wouldn’t consider the playbook though: I haven’t seen any life signs from blackberry recently, and until they get their company back on track with a realistic chance to be around for some more decades, I wouldn’t build my workflow with their devices. With regards to iPad vs. Galaxy: I think it really comes down to the ecosystem here. Don’t worry about minor hardware differences. If you work on a Mac, go with an iPad to get the closest integration between your devices. The same isn’t really true with the galaxy and PC, so you are back to zero when you are using a PC. Next, think about where it is most attractive for developers to invest their resources in. This will serve as an indication where to expect a steady stream of many high quality apps to choose from. Right now and for some time in the future, iOS development does and will outperform Android app development. This again speaks for choosing and iPad. Message me if you want more info, and I send you a draft of a report on this I am working on. So I would pick an iPad if I was you, but again I am biased from the start. If you choose iPad, I would stay away from first gen. Its my only iPad, and its getting really slow. iPad 2 is still a good device. There is one glaring omission from your posts on academic use of the iPad – footnotes! If there is anything that is really important to me when writing academic papers, is footnotes, and then indexing words with a subscript and superscript, etc. I see no mention of these, although for actual academic writing, these are pretty basic. Hi Gorazd, not in my field: I haven’t used footnotes since my MSc thesis. But I agree that other disciplines use them quite heavily. Do you have an app that excels in doing these things? If so, please share. A former academic/current law student, I ordered an ipad and am anxiously awaiting it. I found this post tremendously helpful! I’m looking forward to the third! Sounds very useful, can’t find any details on what the transcription costs though, do you know? Like I said, thanks for sharing too. 😉 These sketching apps are amazing. My brother is inventing an app and he wants to hire a company like http://madvertise.com/en/ to get it more famous. What do you thin? No, haven’t seen that before. Thanks for sharing!